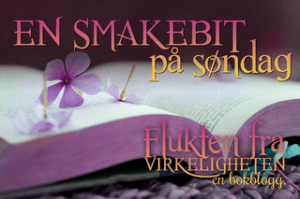 Jeg har begynt på boken: This book is overdue! 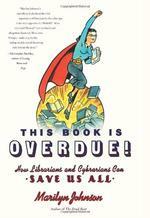 How librarians and cybrarians can save us all av Marilyn Johnson. Den er en humoristisk fagbok om bibliotekarer og om hvordan dataalderen forandrer biblioteket. Library sience has always been a discreet profession. Have you ever had a librarian confide her pain or personal heartache while on the job? Not likely. Once I asked a reference librarian of the slightly chilly ilk where to find the graphics novels. I was looking for a copy of Maus. “Oh!” she said, her face lighting up. “I love that book.” (Someday, I will stop being surprised at all the things librarians read; they’ll read anything.) Then she took me to the rumpled corner of the library, found Maus, and placed it in my hands with a blessing. “I hope you love it, too.” I looked back on decades of patronage and realized that this was the most a librarian had ever revealed about herself in a professional exchange. Den boka høres morsom ut. Setter den på ønskelista med en gang! He he 🙂 Det er egentlig utrolig mange bloggende bibliotekarer der ute!